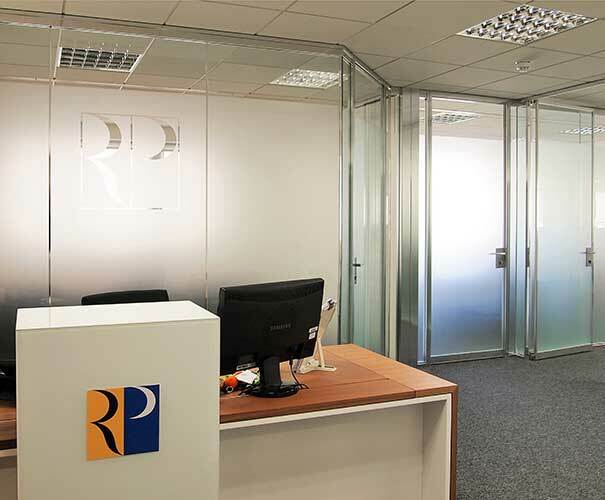 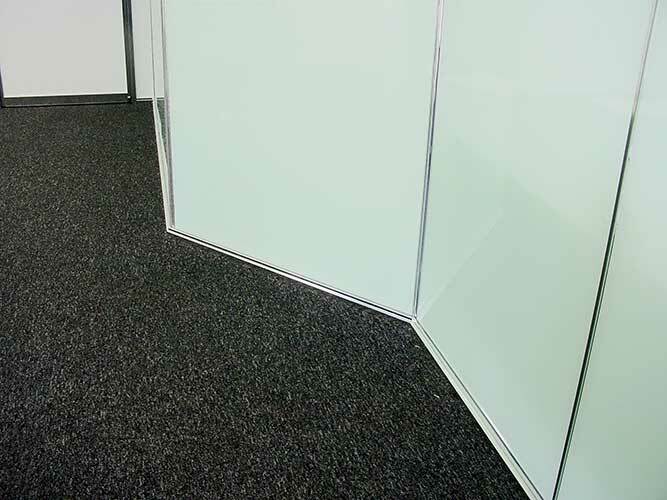 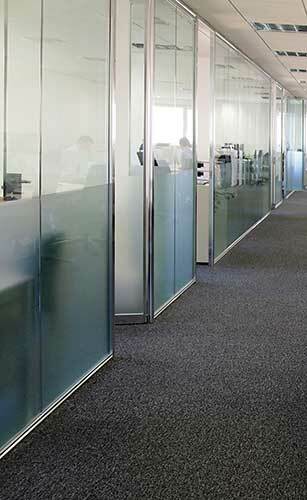 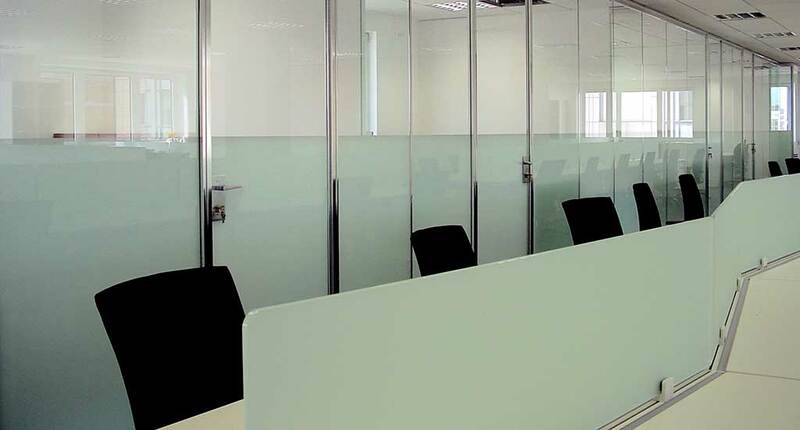 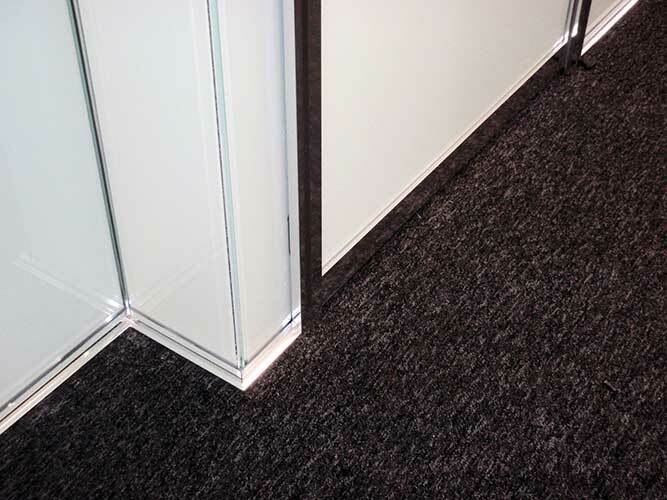 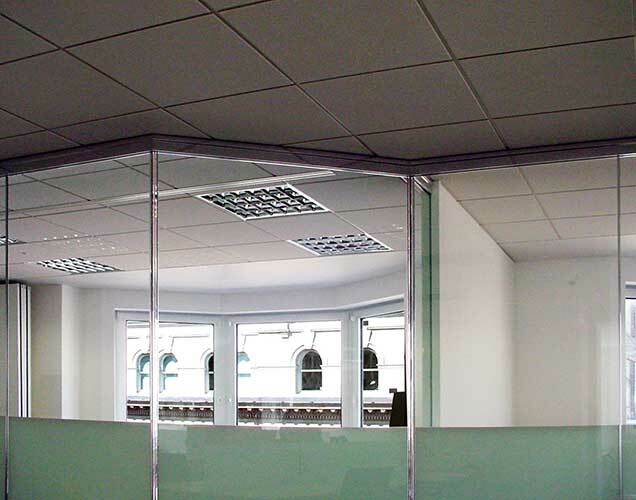 Single glazed Slimbox partitions by Estel to form office and meeting room fronts with single glazed framed pivot doors. 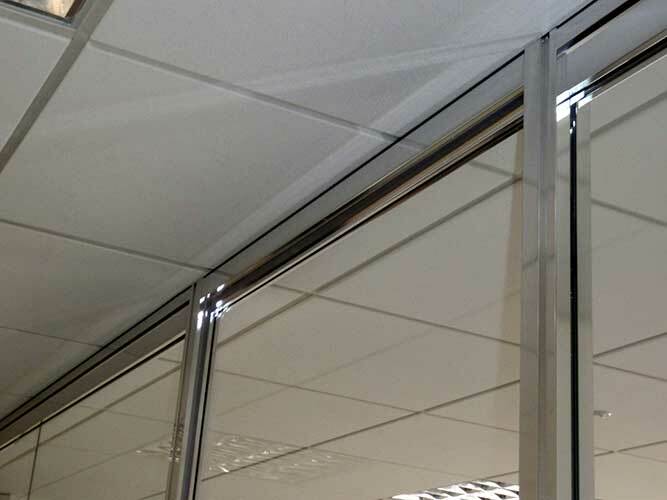 Structure in a polished aluminium finish. 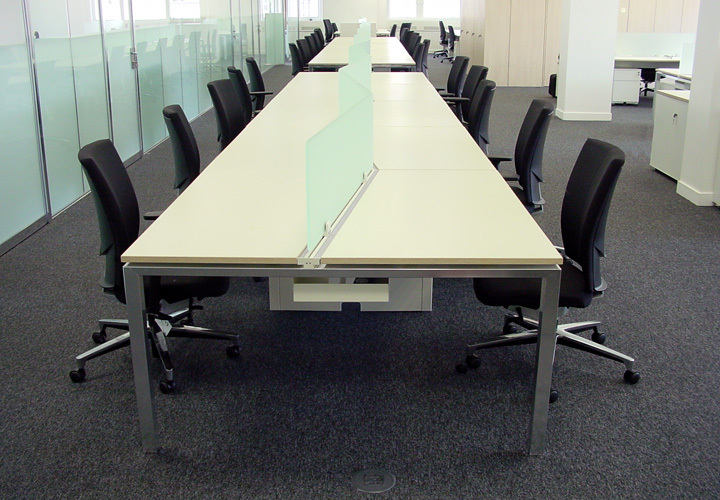 Asterisco modular workstations by Estel with trapezoidal space saving desktops on a chrome goalpost frame and etched glass screens. 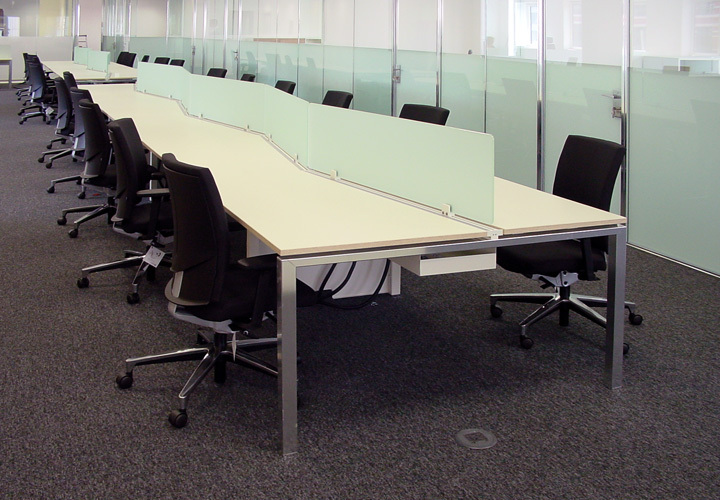 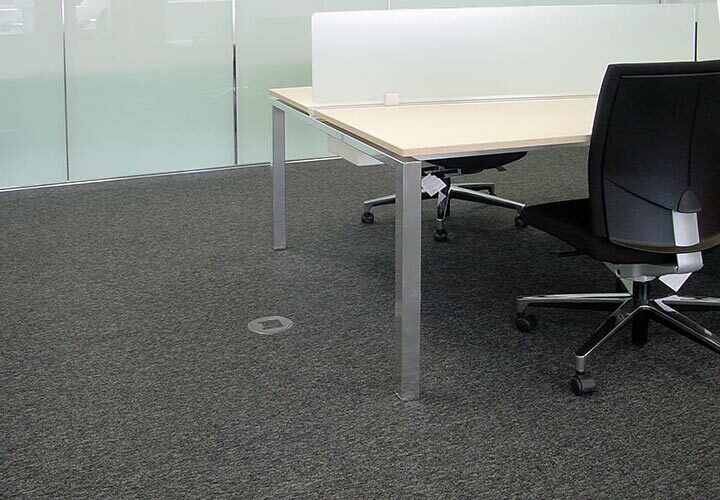 Kloeber ergonomic seating for task and meeting rooms.